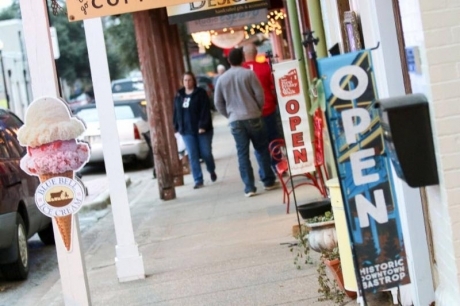 Help Bastrop receive a Main Street Makeover! Here's how YOU can help: Bastrop made the top 10 and they will find out on February 13 if they made the cut to the top 5. Between now and then you can show your support by posting on your social media channels and using the hashtags #smallbusinessrevolution #mybastrop and #mytexas. Share your favorite story about Bastrop or your own community and add your hashtag to your post. If they make the top 5 then the whole state will need to vote daily to insure that Texas brings home the big prize....and we all know that Texas deserves it! Thank you for your support of Bastrop and Texas downtowns!